Shortly after launching Champion Real Estate Company in 1987, Founder, President and Managing Partner Bob Champion saw it all clearly – buy the right properties and do the right things with them, and a firm can have a lot of success. Over the past three decades, Champion Real Estate Company has completed projects in excess of $1 billion and has achieved an average approximate yield of more than 20 percent since 1995. Staying true to the firm’s recipe for success has also resulted in multiple awards, including recognition for shopping centers, transit-oriented projects, public-private partnerships and historic renovations. JUNE 14, 2016 (Los Angeles, CA) – Champion Real Estate Company (“Champion”) announces the acquisition of a grocery-anchored neighborhood retail center in the City of Glendora, California. The property consists of an existing 85,615 square foot, free-standing, and vacant former grocery building located at 655 S Grand Avenue. 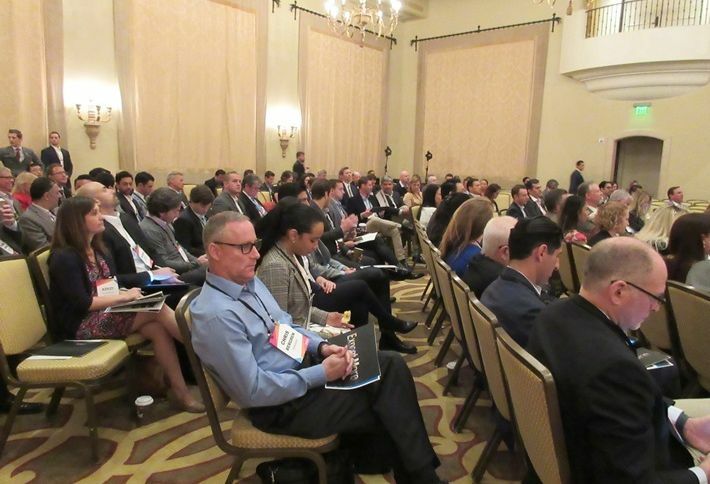 As a plethora of mixed-use projects continue to be built all over LA, attendees at Bisnow’s LA Multifamily and Mixed-Use event on Wednesday heard ideas and predictions about what the future may hold and whether the trend will continue. More than 500 commercial real estate pros converged on the Montage Beverly Hills for the meeting. Los Angeles-based Champion Real Company has announced its acquisition of the historic Ancelle Apartments located in Koreatown, Los Angeles. The 87-unit Ancelle Apartments is ideally situated in Wilshire Corridor, which is only a seven minute walk to the Wilshire/Western Metro Station. The historic building is comprised mostly of studios offering efficient layouts that allow for low absolute rents. According to their press releases in PR Newswire, Koreatown is considered to the the most densely populated area in the Los Angeles County, with the largest concentration of nightclubs, 24-hour businesses and restaurants in Southern California. An individual developer from East Nashville sold the 74-unit Amplify on Main in Nashville, TN, to Champion Real Estate Development Co. for $14.1 million, or about $190,000 per unit. The 82,020-square-foot apartment complex consists of five buildings with a mix of one- and two-bedroom units. It delivered in 2014 in the Maxwell submarket. And the Los Angeles investment firm swooped in less than one year after its grand opening. The 74-unit Amplify on Main apartments in East Nashville has a new owner. A Los Angeles-based investor has paid $14.1 million for the Amplify on Main apartments in East Nashville. Champion Amplify LLC bought the 74-unit complex from East Side Development Partners LLC, whose president, Adam Leibowitz, is an active developer in East Nashville. Champion Amplify is an affiliate of Champion Real Estate Co., which had made two previous acquisitions here. East Side developed Amplify on Main at the corner of Mcferrin Avenue and Main Street, touting its location along the planned route for the city’s failed bus rapid transit proposal called the Amp. Nearly all of the apartment units at Amplify on Main are occupied. In East Nashville, Leibowitz also developed EastSide Station, a mixed-use building with local shops facing Woodland Street and East Nashville Self Storage facing Main Street. Oppidan Investment Co, a St. Paul, Minn-based developer, snapped up the Orchard Supply Hardware location in Thousand Oaks (1934 E Avenida de Los Arboles) from a private investment firm in LA for nearly $16.8M. According to Colliers International, this is the highest price ever paid per SF for a single-tenant, triplenet property in Ventura County, and among the highest in SoCal. The property consists of 43k SF on five acres. Colliers EVP Chris Maling, who repped both sides with David Maling and Stephen Algermissen, says among the reasons they were able to achieve this record price was that the single-tenant OSH store is in a supplyconstrained market with little to no competition. The nearest hardware and home improvement center is five miles away, he says. A 164-unit Oxnard apartment complex has changed hands for $338,628 per unit, the highest price paid in Ventura County in at least a decade for a property with at least 100 apartments, according to real estate data provider CoStar Group Inc.
Champion Real Estate Development Co. in Los Angeles purchased The Vines at RiverPark from a partnership of Corona Riverpark Promenade LLC and Corona Riverpark Luminaria LLC, both in Oxnard. The price totaled $55.5 million. The sellers developed the property beginning in 2012 as part of a master-planned community that includes parks, playgrounds, open space and a 600,000-square-foot retail and entertainment complex called The Collection at RiverPark, said Adrienne Barr, a partner at Berkadia’s Westwood office, which handled both sides of the sale. The 3040 N. Oxnard Blvd. complex was 95 percent leased at the time of sale. It is located near Pacific Coast Highway and the 101 freeway and offers a mix of two- and three-bedroom townhomes with granite kitchen countertops, washer and dryer units, balconies or patios, walk-in closets, hardwood flooring and attached two-car garages. The purchase was part of a 1031 tax exchange for Champion, which operates and develops retail and multifamily properties throughout Southern California, including 600 E. Olive Ave., a 63-unit complex it purchased in Burbank in 2012. “They have been known primarily as retail developers, but they are now planting their flag more as apartment developers and owners,” Barr said. The proposed Hollywood Cherokee apartments would rise from an approximately one-acre parking lot located just north of Hollywood Boulevard. Plans from Los Angeles-based Champion Real Estate call for a six-story building featuring 224 studio, one- and two-bedroom apartments above nearly 1,000 square feet of ground-floor restaurant space. The project would include a wide array of residential amenities, including a swimming pool, a fitness center and a four-level garage with parking accommodations for up to 305 vehicles and 252 bicycles. Twenty-four of the project’s apartments would be set aside for very low-income residents, making less than 50% of the Los Angeles median income. LOS ANGELES – Champion Real Estate Co. recently said that its spending goal for 2013 is $100 million in development acquisitions, and the firm has promoted Greg Beck to partner at the firm to find mixed-use properties to add to the portfolio.